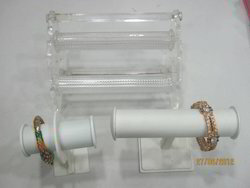 Providing you the best range of bangle display stand, plastic bangle display stand, fancy jewelry packaging boxes, jewellery packaging boxes, indian bangle stand and bangle stand with effective & timely delivery. We hold expertise in offering an amazing assortment of Bangle Display Stand that will take the breath away of the user, with its enchanting and enthralling craftsmanship. 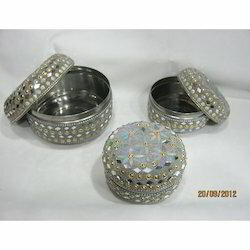 The offered box is designed with the help of premium quality glass, wood, velvet, etc material and sophisticated tools. Durable in nature, these boxes are sold by us at market leading prices. Our product range is widely appreciated and are available at market leading prices. 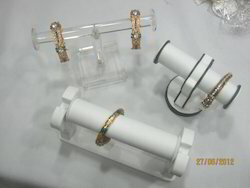 From our extensive range, we render our comprehensive assortment of Plastic Bangle Display Stand to our esteemed clients. These boxes are stylishly fabricated using the finest grade raw material that assist in enhancing the beautification of the range. Further, our offered collection is available in various amazing patterns and attractive color & combinations as per the specifications of the clients. The most recommended range of Bangle Display Stand is delivered by us in various eye-catching look at most competitive pieces. Our superior quality gamut has beautiful design, attractive color combination and durability. These products exhibit a finesse and unique work done by our expert’s professionals. Further, these boxes are easily handle and need no maintenance and are available in different shapes, sizes and elegant designs. 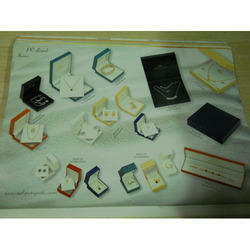 We are one of the renowned manufacturers and suppliers of a designer collection of Fancy Jewelry Packaging Boxes. These boxes are manufactured from optimum quality components to ensure durability and reliability. 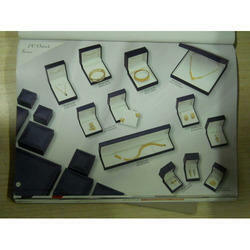 Our fancy jewellery packing boxes are widely praised for appealing look and fine finish. 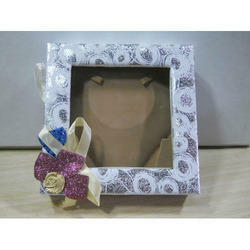 Customers can avail these boxes in various attractive designs, finish and styles as per the demands of clients. We are well renowned in trading and supplying the vast array of Indian Bangle Stand that is widely demanded among the clients for their durable finish. 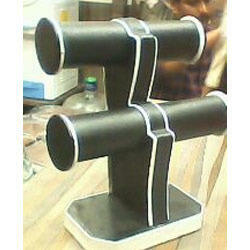 These stand are fabricated with keeping in mind the appropriate norms and standards of the industry. Due to the superior quality they enhance the functionality utility of the products. Further, these products have a single compartment along with top flap closure and are available at highly competitive prices of the market. Our highly demanded range of Bangle Stand is produced by the experienced craftsmen who have immense knowledge in their field. These boxes are largely appreciated across the Indian subcontinent due to their aesthetic appeal and unmatched designs and are available in different eye-catching shapes & sizes. For the ease of our valued clients, we also offer customized solutions as per their requirements. 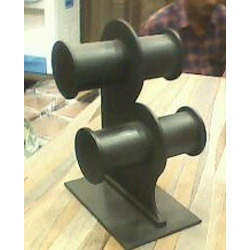 Looking for Bangle Stand ?